In this article I will describe some tricks which many Windows Mobile developers may need while developing for .NET Compact Framework platform. The reason I decided to write this article is that because the following tricks either cannot be achieved using pure managed code or they are not easy to find out in the big twine of classes .NET CF provides. The Snapshot method with string parameter can be used to save the bitmap into a file. /// Turns on the display and resets the idle timers. /// Turns the backlight off. /// Call this method to keep the display lit. /// Call this method to turn off the functionality provided by this class. To keep the backlight on, we only need to instantiate the class and then call the StartTimer() method. To stop this functionality simply call StopTimer(). However, if you want to turn off the backlight immediatelly, call TurnOffBackLight() method. 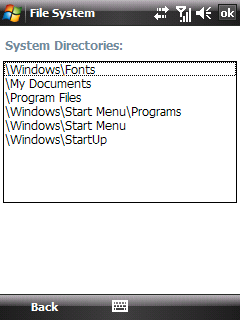 /// Shows the SIP (Software Input Panel) button. In this case we created a shortcut in the start menu whose text will be “my email” and if the user taps the shortcut in the start menu thetmail.exe file will be run located in \windows folder. 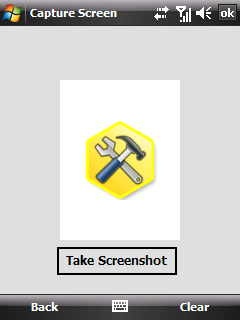 The whole source code is part of Bee Mobile’s Free Utils project. The goal of Free Utils project is to put together the source code which shows how to overcome some typical hurdles of Windows Mobile / Windows CE development in .NET Compact Framework environment. 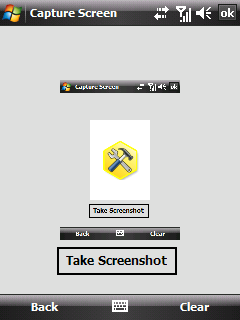 You can download this utility library free of charge here. Sample project with source code from this article can be found here.